Be creative in everyday work! 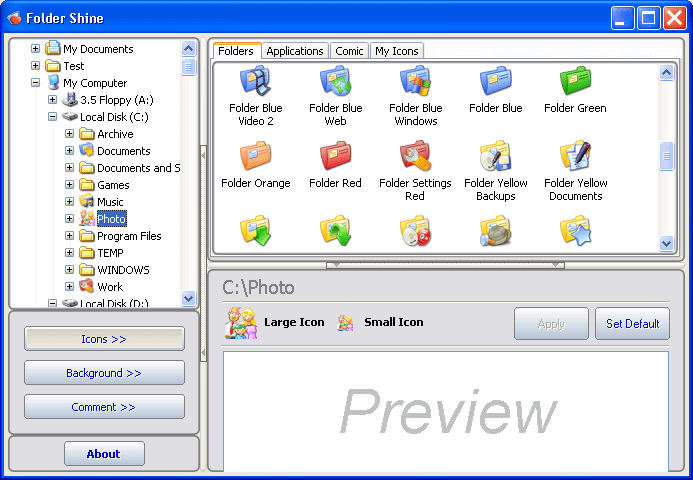 FolderShine changes an icon or color of any folder you like. Now you\'ll never forget about the folder Must Be Done Urgently thanks to its red icon. The folder with the photos of your family turn pink or green or violet. Let your imagination do the job! Replace boring yellow folders with colorful icons from the list with one click only. You are enabled to convert BD /DVD movies and mainstream videos to iPad MP4/MOV/M4V with high conversion speed and quality. The Blu-ray to iPad Ripper allows you to edit the output video with the wonderful editing functions.